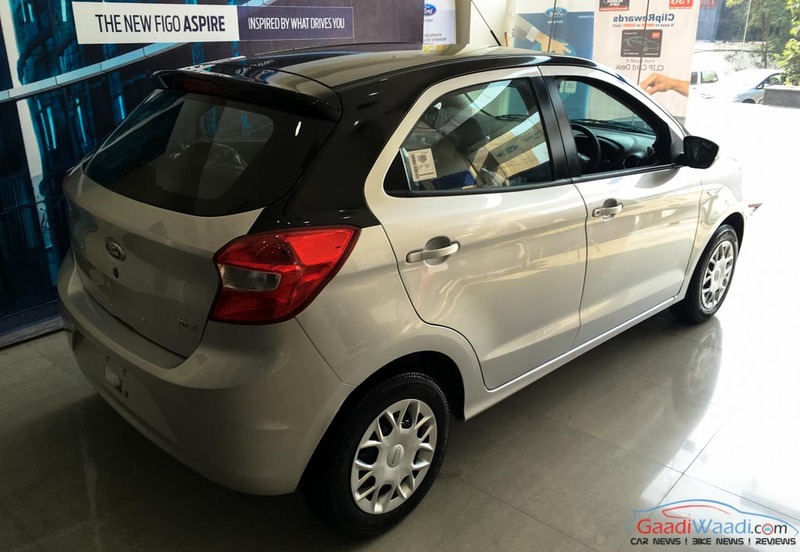 Ford India launched the new generation Figo last September after the India-specific hatchback’s original version came six years earlier. It followed the sub-4m sibling Figo Aspire and is built on the same global platform to rival mainly against Maruti Suzuki Swift, Hyundai i10 and Honda Brio with identical design cues. Being offered in seven different colour options – Ruby Red, Tuxedo Black, Deep Impact Blue, Ingot Silver, Sparkling Gold, Oxford White and Smoke Grey – the presence of the dual tone paint job has not been known until now. 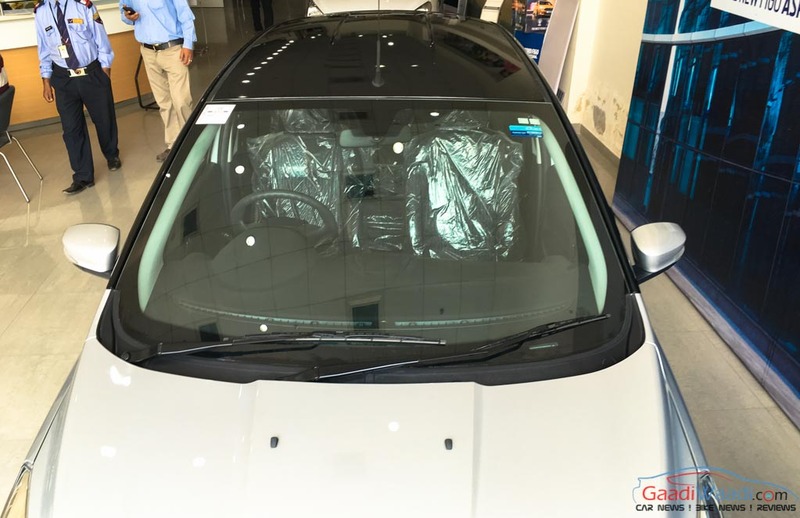 But in another exclusive piece courtesy of our reader, we can reveal the existence of the 2016 Ford Figo with Roof Wrapped. The spied pictures explain that the Figo in its Ingot Silver guise has a black wrapped roof top with B-pillars adorned in black. The tail gate remains in the same silver colour but the rear sloping glass panel and the roof-mounted spoiler have received black paint job. It’s expected to come at a premium of Rs. 15,000 over the standard price range and the American car maker is more likely to introduce optional accessories pack along with the added colour scheme. 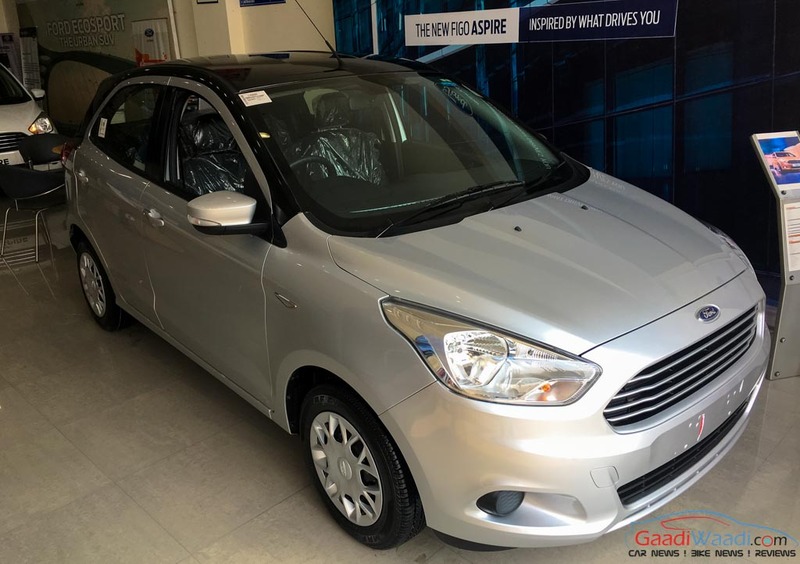 The latest generation Ford Figo has had a decent turn of sales numbers since launched but it often fluctuates as only 1,770 units were retailed in the first month of the new year as opposed to 3,534 units in October 2015. With the optional accessories kit and the new sporty roof-wrap, Ford will be aiming to maximise the potential of the hatchback’s selling capacity. Moreover, as the spied pictures have been snapped from dealership outlet, we expect it to be launched very soon. 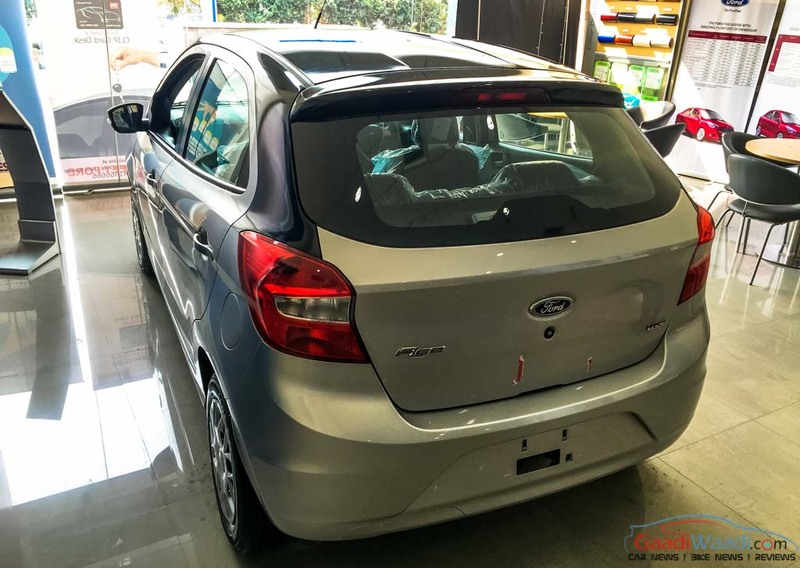 No mechanical changes will accompany as the Ford Figo will continue to be powered by the 1.2 petrol, 1.5 petrol and 1.5 diesel engines. The 1.2-litre four-cylinder petrol unit develops 88 PS of power and 112 Nm of torque while returning a claimed 18.16 kmpl. The 1.5-litre turbocharged diesel produces 100 PS of total power and 215 Nm of torque with an ARAI-certified fuel economy of 25.83 kmpl. Both engines will be linked with a five-speed manual transmission. The first-in-class six-speed dual-clutch auto ‘box is coupled with a powerful 1.5-litre petrol generating 112 PS of maximum power output and 136 Nm of peak torque with a fuel efficiency of 17 kmpl. The new Figo has LxWxH ratio of 3886x1695x1525 mm and has a generous 2491 mm wheelbase with 257 litres of boot space when rear seats are up. The Figo has the class-first six airbag option and it comes available in 11 versions with the Base 1.2 Ti-VCT priced at Rs. 4.42 lakh (ex-showroom, Delhi) and the top-end Titanium Plus 1.5 TDCi at Rs. 7.47 lakh (ex-showroom, Delhi).